If you’re after something a little different to add the finishing touch to a nursery or child’s room, then take a look at these cool items. You might not immediately think a clock is essential in a nursery, but in the wee hours of the morning when you’re wondering what time it is as you stumble to your baby, you’ll be thankful you put one in there! Australian decor brand Micky & Stevie make a few left-of-centre options including a moose, penguin and hot air balloon for $64.95. There’s also this great DIY Cuckoo Clock for $23.95. 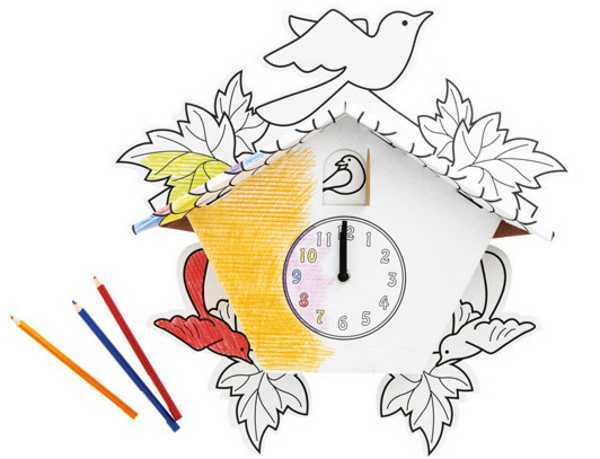 The cardboard clock comes flat packed and uncoloured, so you or the kids can decorate it. 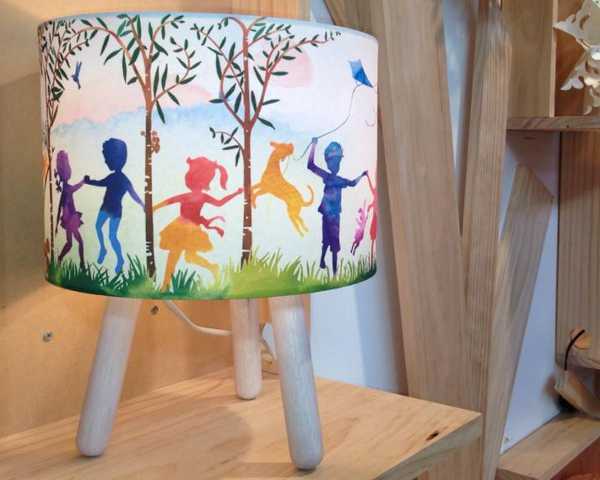 Micky & Stevie also make some stunning lamp options, including the beautifully whimsical Into The Woods fabric lamp, pictured at the top of the post, for $99.95. Shop the products locally at Hugs For Kids.